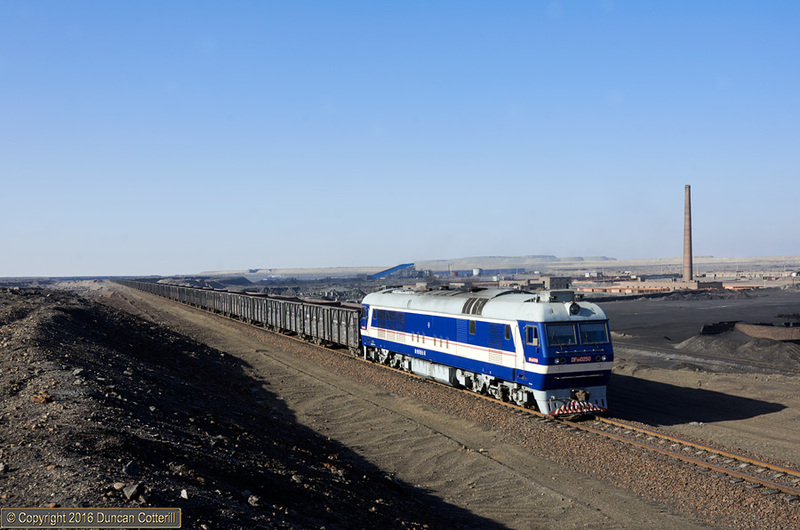 The line between Nanzhan and the new deep mine at Shadunzi was the last great hope for steam but plans to use pairs of JS on the trains came to nothing and Sandaoling’s DF8Bs have worked the line almost from the day it opened in October 2014. We saw several trains going to or from Shadunzi during our visit and all were diesel hauled. DF8B 0250 rolled down the hill towards Nanzhan with a loaded coal train at lunchtime on 30 November 2016. The photo was taken where the line passes behind the Jianmeixian unloading point.